We finally recovered from the madness of the 4th of July weekend – albeit a few brain cells lighter but with many memories that were worth the price. We had a blast at our 20 year high school reunion – such a good time to see friends we haven’t seen in over 2 decades – and enjoyed the numerous fireworks displays along the east Niagara River. To break up the week a bit, Ryan traveled to southeast Pennsylvania to link up with Ben Rogers of Chasing Tails Fly Fishing and provide him with some excess capacity to take on clients for a couple days in that region. 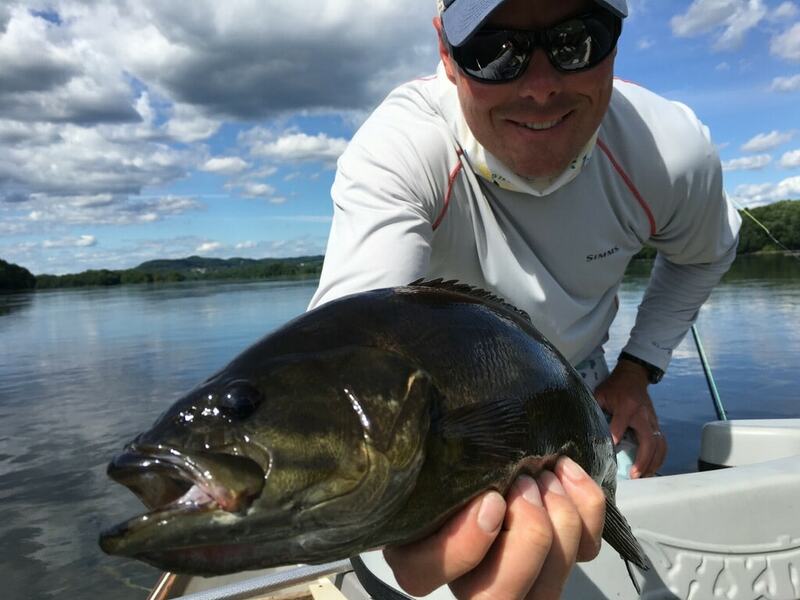 Ryan and Ben fished the Susquehanna River for 3 days targeting smallmouth bass and walleye. WHAT A BLAST! 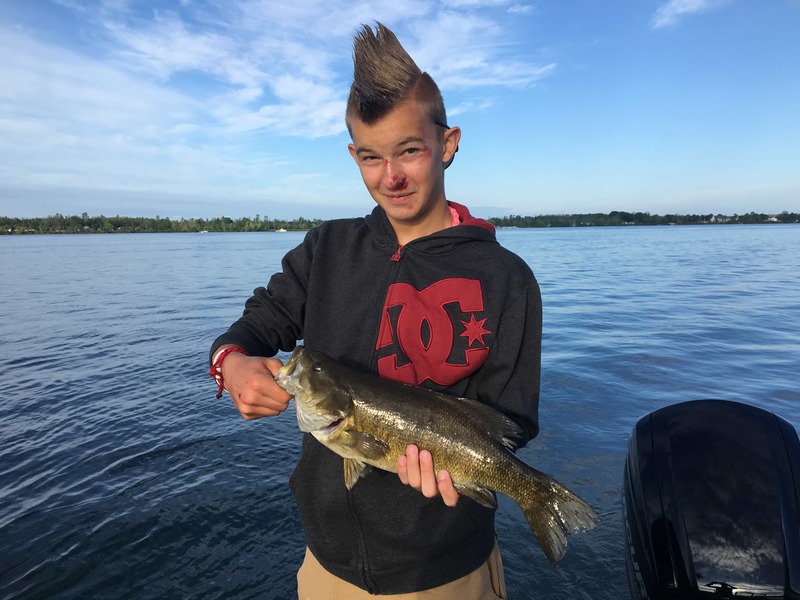 It is a beautiful fishery with a unique topography characterized by huge boulder gardens and rock ledges – awesome habitat. Ben is a fellow veteran (of Army Ranger stock – but we won’t hold that against him) and his professionalism, work ethic, and talent level is a reflection of his years of honorable service. If you’re interested in exploring this region, let us know or contact him directly – his contact info is at the bottom of this report. Without getting too scientific about it, trout need a lot of oxygen to survive. The colder the water, the more oxygen it holds. Additionally, as water flows over rocks and forms small rapids called “riffles,” the little bit of white water created by that flow adds more oxygen to the water. The ideal trout habitat has both of these attributes. Numerous creeks in the region provide this habitat and many of them hold trout. However, it hasn’t rained in any significant quantity for well over a month AND it has been HOT so all of our creeks are low (reducing the size of riffles) and warm. These are EXTREMELY taxing conditions for trout so it is important to leave them alone any time the area is experiencing long periods of hot weather and little rain – and that’s exactly what we’ve been doing. Please do the same. There haven’t been too many days in the past month or so when the wind speed doesn’t get into the teens before noon and gets worse as the day goes on. Lots of wind makes it difficult to fly fish so we’ve been getting out at dawn and coming off the water around noon. It’s been paying off. 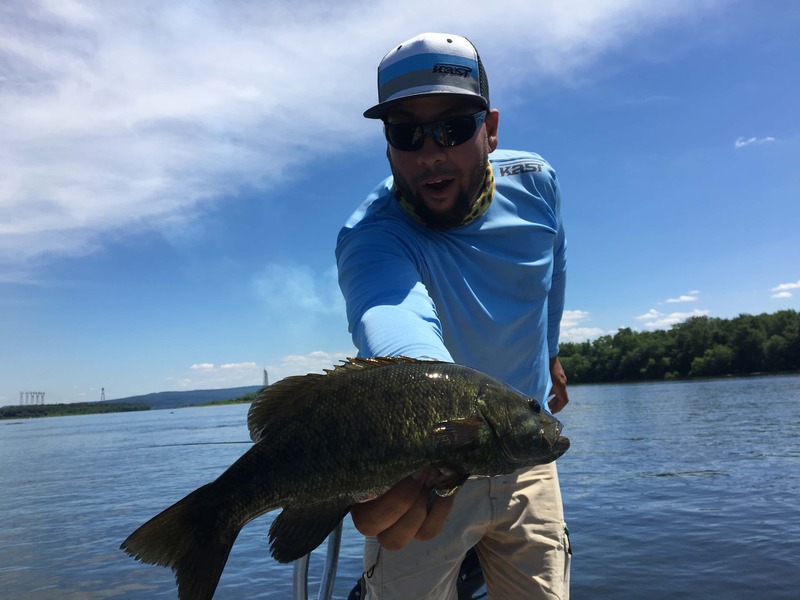 Smallmouth Bass: the smallie bite on the fly has been a bit slow but big fish are coming out of every outing. We’ve been using fast sinking lines and flies that imitate goby minnows and crawfish. A slow and deep retrieve over rocky bottom at depths between 8-15ft has been productive. Teaching the nephews how to do it! Muskellunge: The musky fishing on the fly has been slow but we’ve been seeing fish on nearly every outing. 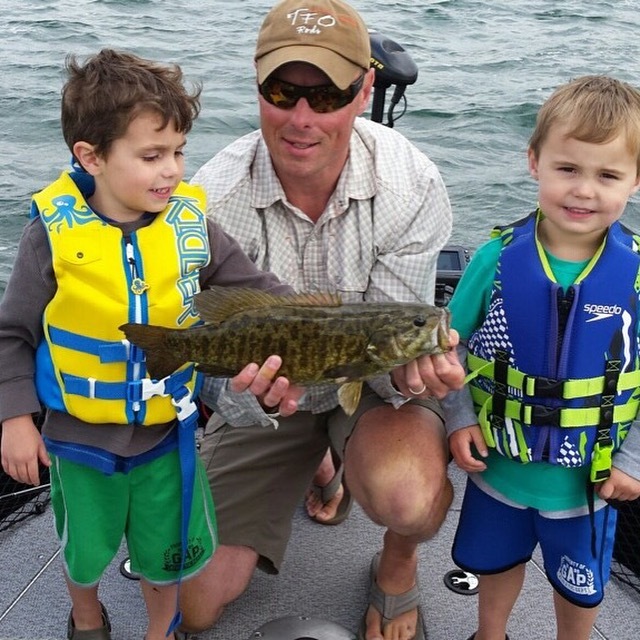 We’re starting to fish deeper (10-15 ft), targeting areas with heavy weeds and a sharp change in water depth. We’ve been using fast sinking lines to get to these depths and flies have been between 8-10 inches in length. 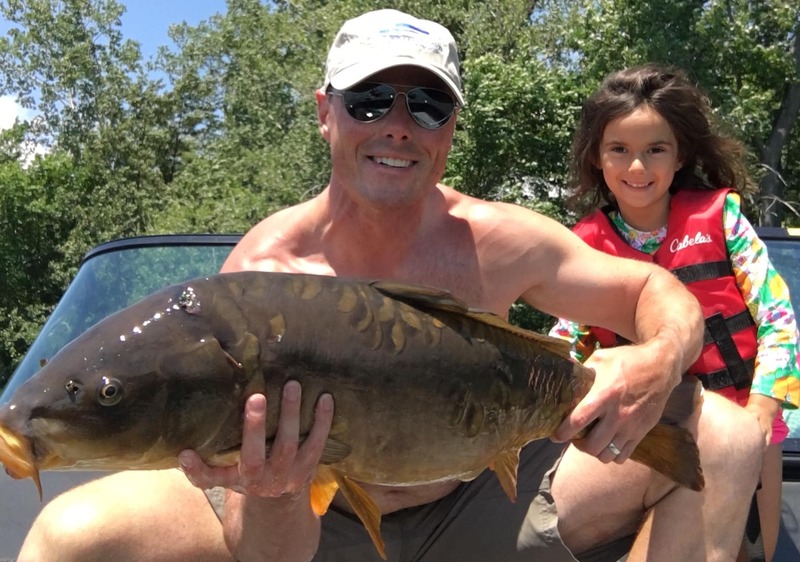 Common Carp: The carp fishing on the flats is pretty much done but we were able to pick up a few before they moved to the depths. We’ve been patrolling flats with defined transition/traffic zones. These flats border steep drop offs covered with weeds. You’ll often see clearings in these weeds that serve as traffic lanes for carp to come up from the depths to feed for crawfish, small baitfish, nymphs, and other little critters that live in the rocks, shallow weed beds, and sand. Look for those fish that are nose down feeding on the bottom or cruising slow. We’ve been using floating lines on an 8 wt rod and flies that imitate crawfish and nymphs. Conclusion: The region is definitely settled in the summer pattern. Although it is a shame the inland trout fisheries are struggling, the big water on the lakes and upper and lower offer MANY opportunities to get out and wet a line. The only downfall is that this water is best fished from a boat and many anglers don’t have one – that’s where we come in! Drop us a line at 716-704-5144, send us an email at [email protected], or fill out a trip request on the website. Our schedule is filling up fast!